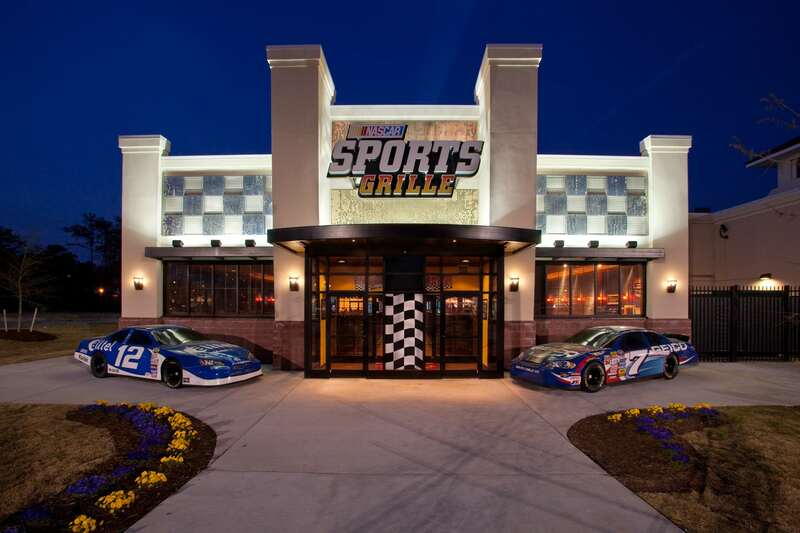 The design for the NASCAR Grille borrows themes from the sport of NASCAR racing and includes a variety of dining and entertainment options. 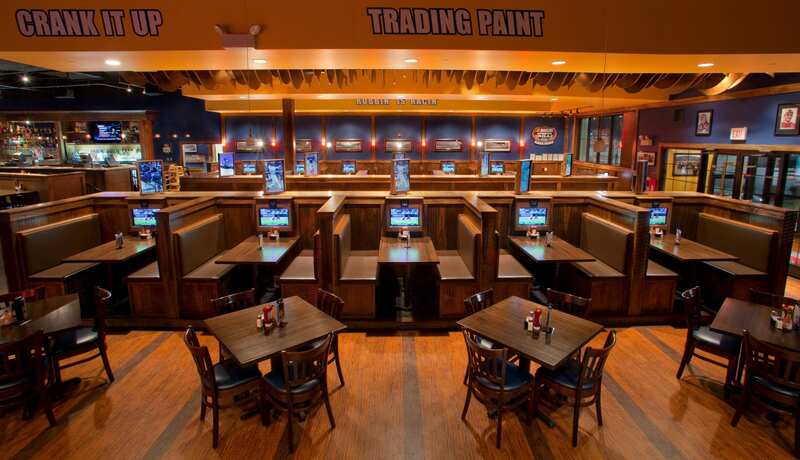 There is a dining area with individual monitors at each table to watch racing, a bar area, and another dining area offering large screens for those who want to feel like they are part of the action. 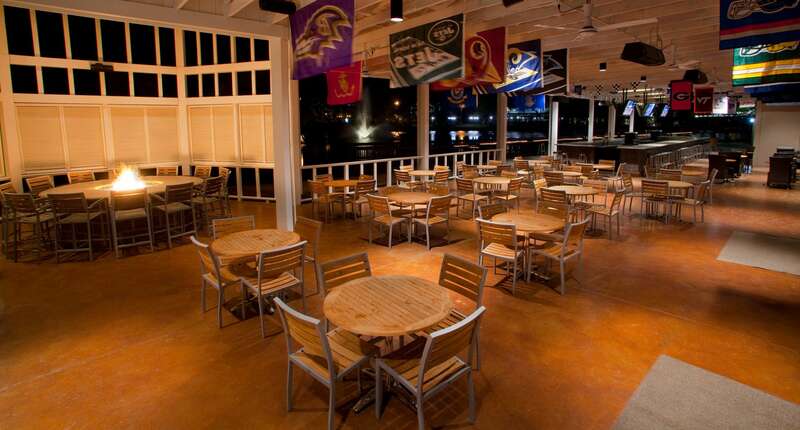 Sharing a kitchen with McFadden’s restaurant next door, the NASCAR Grille also includes a covered patio with an elevated table top fire pit overlooking the Bass Pro Lake. 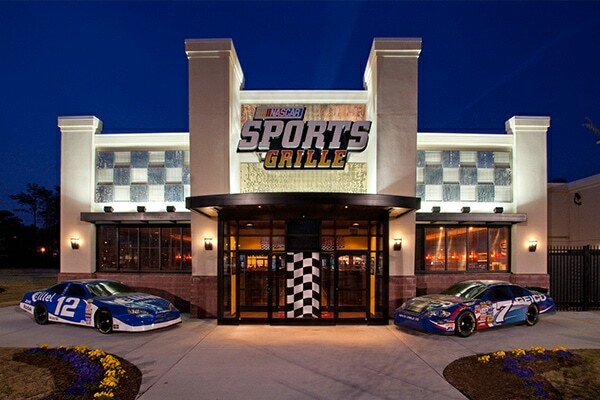 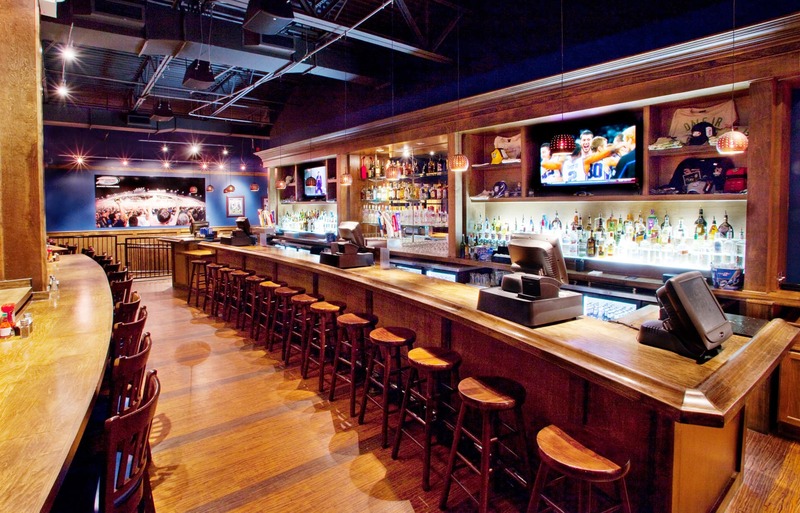 From the authentic NASCAR automobiles out front, to the flags and memorabilia inside, this restaurant brings the experience of NASCAR to the public in a relaxed, fun environment for the whole family. 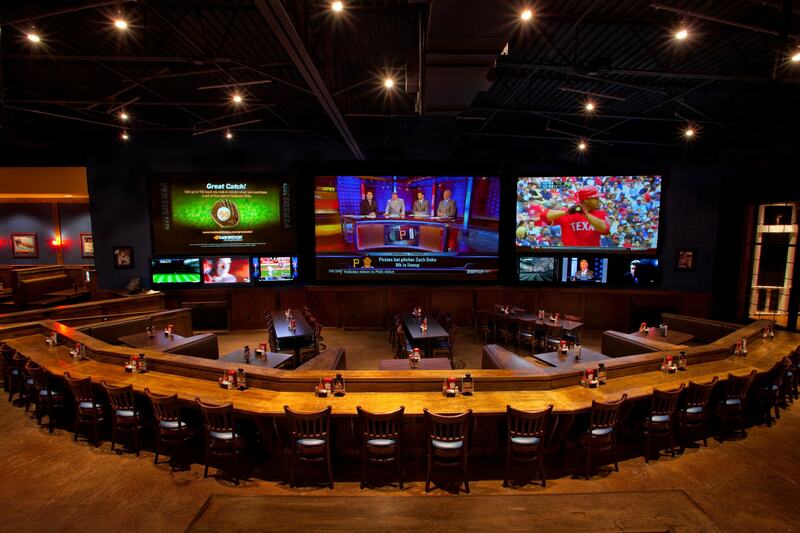 Curry Architects also designed the center where the restaurant is located.